Hello again! Are you guys ready for the weekend? I know I am! This week has felt very long so I am excited to relax and recharge. I have for you today a super fun Friday post. 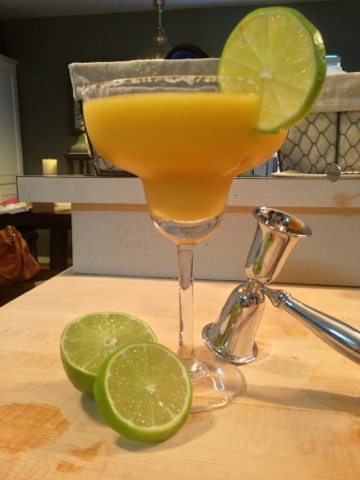 It is the perfect cocktail recipe to kick off your weekend, a light mango margarita! 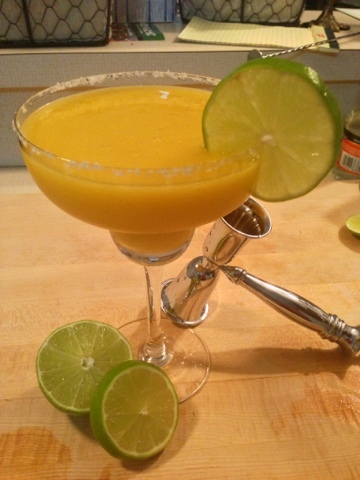 It is a tasty blend of sweet and tarte and takes a common adult beverage to a whole new level of delicious. Also, it is more forgiving on the waistline because it is made with real fruit and natural sweeteners. It is so good, be sure you are prepared to make round two! Place all ingrediants into a blender and mix in high until smooth. 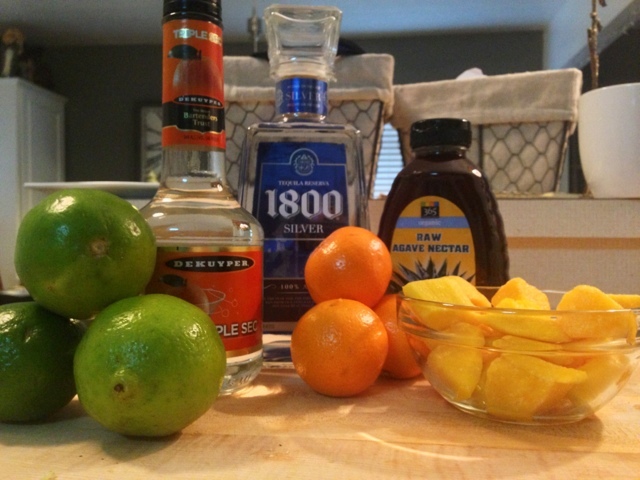 If it is a bit too much liquid, add more ice and if it is too icy, add more water. I also prefer mine tarte, but you are welcome to add more sweetener. Pour some course salt onto a plate. 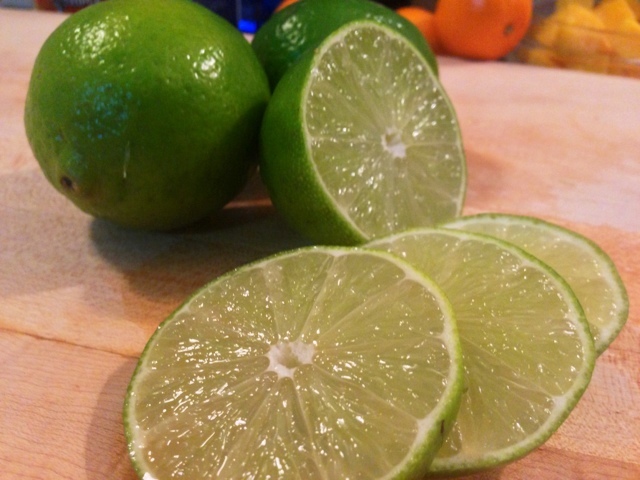 Take one of the limes you squeezed and run it along the rim of your glass to cover in a light layer of juice. 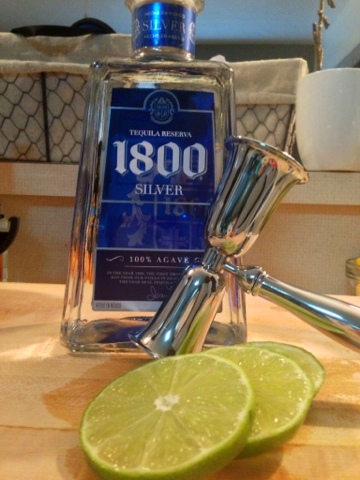 Gently press the rim of the glass over the plate to cover in salt. 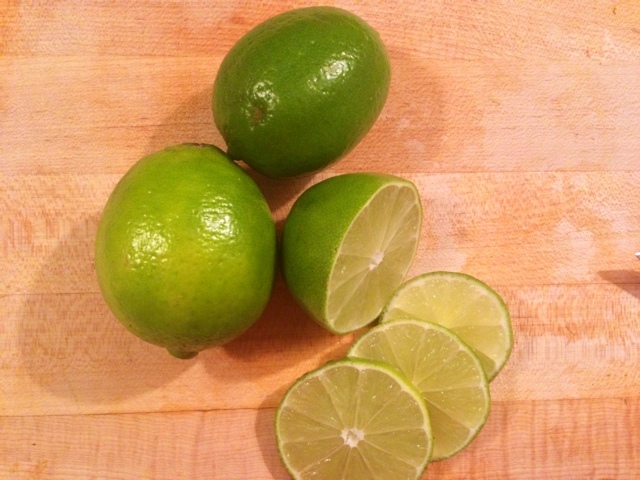 Garnish with a lime wheel or wedge. Serves about 2 large - 4 small margaritas. Sip, relax, repeat, and enjoy! Oh, I am so sorry that I did not stop by on Friday...this looks so wonderful. Hmm, weekend isn't over yet!